Dr. Yuan is a graduate of Houston Baptist University and received his medical degree from Baylor College of Medicine in Houston, Texas. Dr. Yuan completed his general surgery and urology training at Washington University School of Medicine in St. Louis, Missouri, and a postgraduate fellowship in male reproductive medicine and microsurgery at University of Illinois in Chicago. 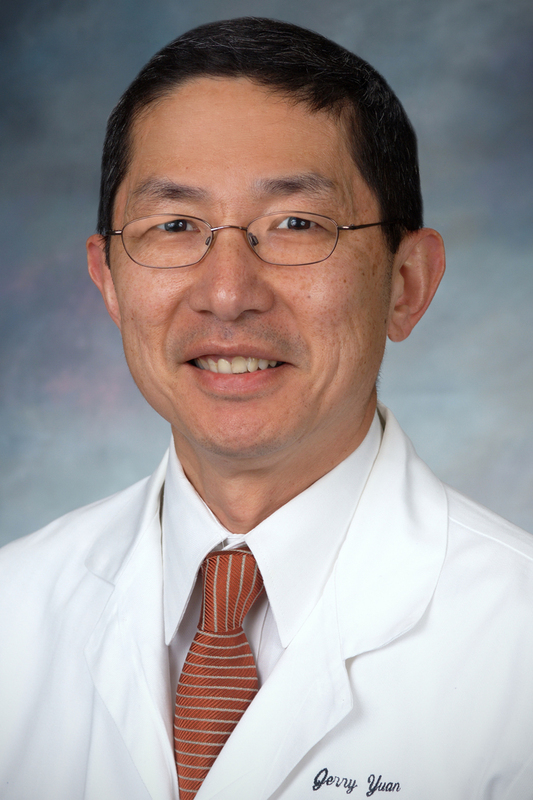 Dr. Yuan served as a staff urologist in the U.S. Air Force between 1992 and 1995. Prior to starting his own practice, Dr. Yuan held the appointment of assistant professor of urology at Emory University School of Medicine specializing in general urology and male infertility. He is a member of several medical associations, including the American Urological Association and American Society of Reproductive Medicine. He is board-certified by the American Board of Urology and is a fellow of the American College of Surgeons. 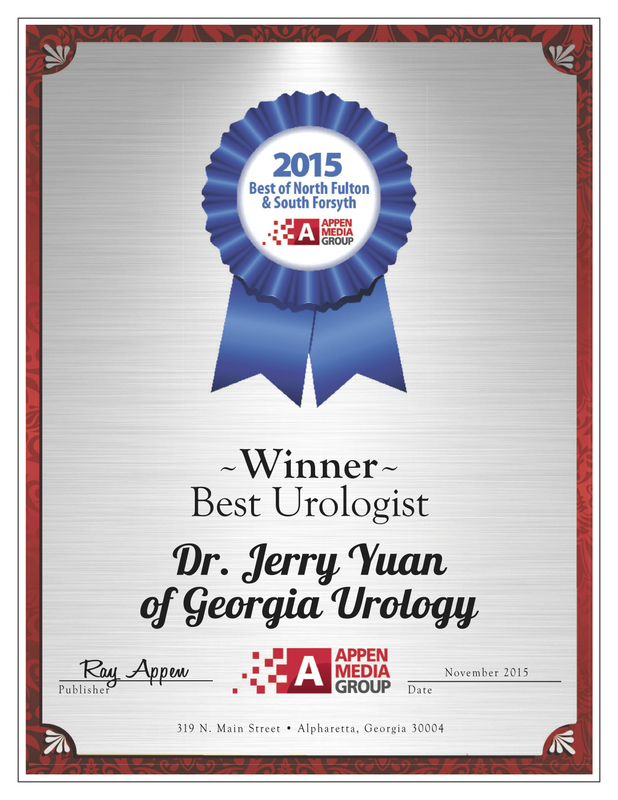 When it’s time to share your sensitive health problem with medical professional infertility specialists, trust the experience of Dr. Yuan and his friendly, helpful staff at Georgia Urology in north Atlanta. 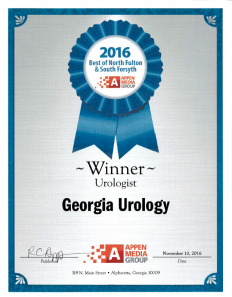 Experience the next generation of urology care right here in North Georgia. Our staff is friendly and always ready to help with scheduling, insurance or anything else you may need during your time with us. Dr Yuan will take extra care to listen to your concerns, answer all your questions and thoroughly explain your condition and treatment options. Our mission is to help you live the healthiest, highest-quality life possible. This is why supporting your doctor is an essential part of our approach to your care. We update your physician following each of your visits and following an endoscopic procedure (usually within 24 hours). And we’ll call your doctor immediately if we make a significant finding. Plus, we welcome your physician’s calls and have a specialist on call 24/7. To schedule an appointment , please call (678) 417-0400 or complete our online Request an Appointment form. I recommend Dr. Yuan & staff. Scheduling is quick and appointment wait time is short. Dr. Yuan listens to problems carefully and provides clear explanations. Straight forward and to the point, he is thorough and patiently answers questions. Dr. Yuan and staff treat patients with a very high level of professionalism, thorough evaluation, and care. Dr. Juan and his staff have treated me since 2016 with a very high level of professionalism, thorough evaluation and caring treatment. I highly recommend him. I think Dr. Yuan and his staff are very professional, considerate and kind. Dr. Yuan always smile and greets me and wants to get to the root of the problem .... I would highly recommend Dr. Yuan and his staff. Thank you for my good care and treatment. Constance M.
Thank you Dr. Yuan for your help. Yes I feel dr Jerry yuan is a very good dr in his field . He has always answered my questions and and I feel He has a very awareness skill on my concerns. I trust him. Dr. Yuan was very thorough and for the first time in a long time I felt as though a medical professional was really interested in finding out what is causing my problems rather than just spending a few minutes with me and writing a prescription.